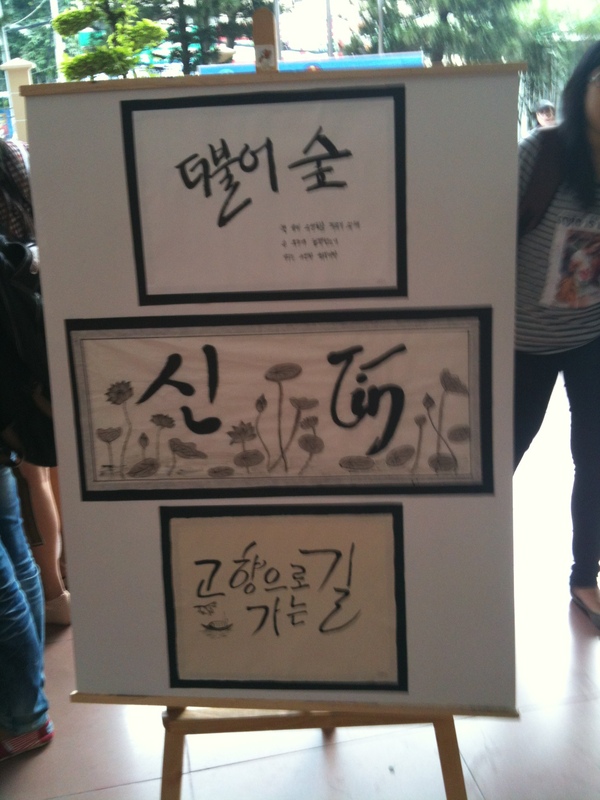 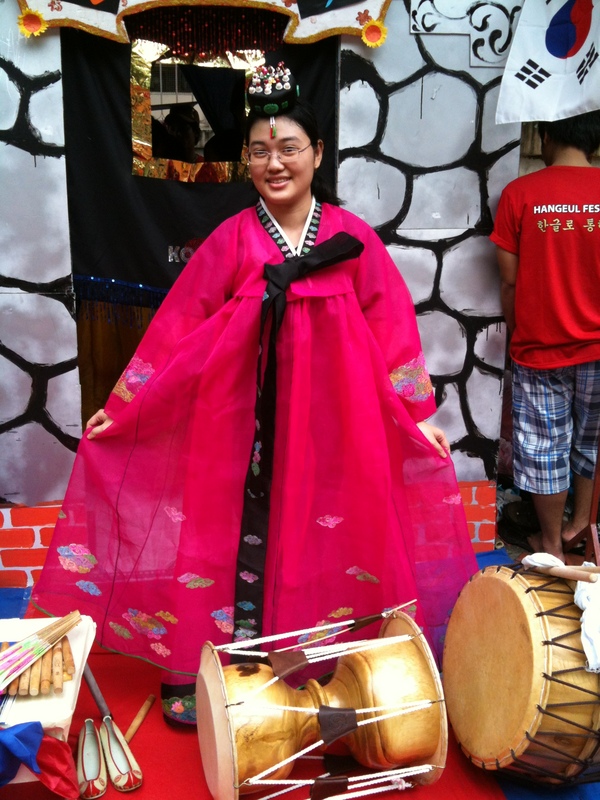 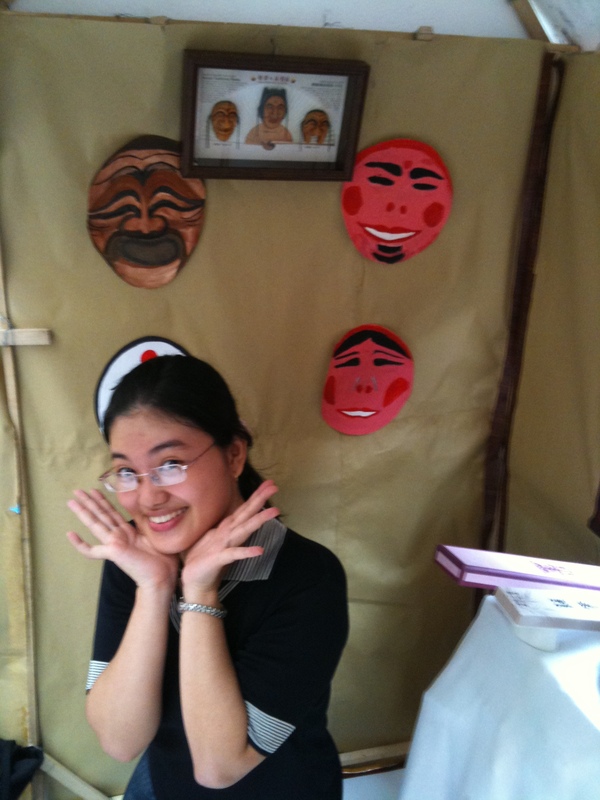 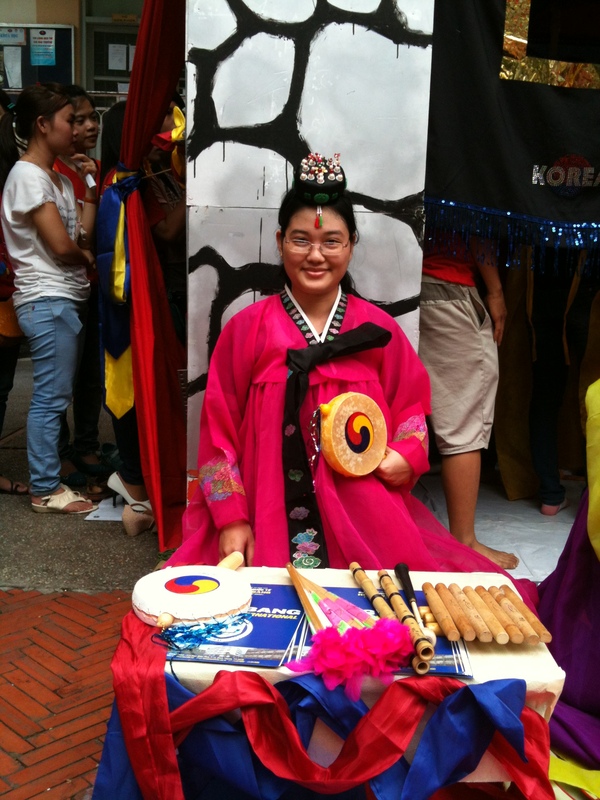 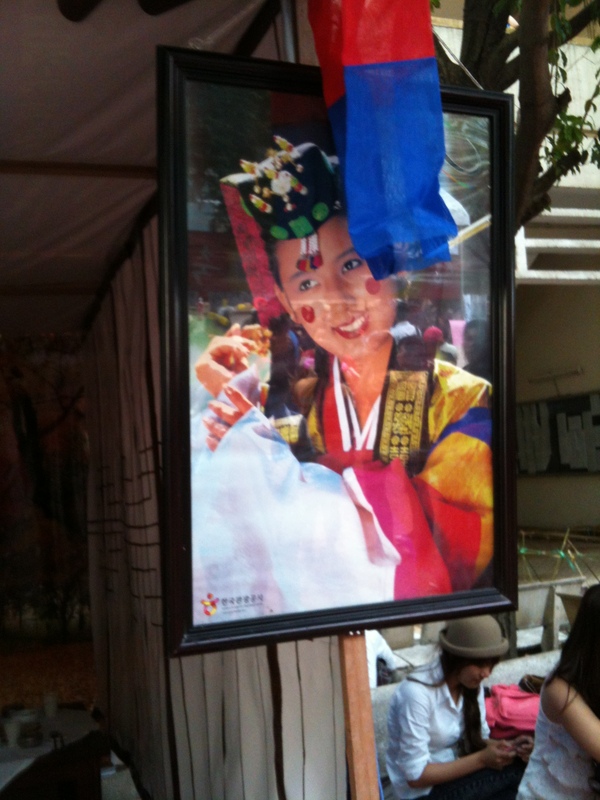 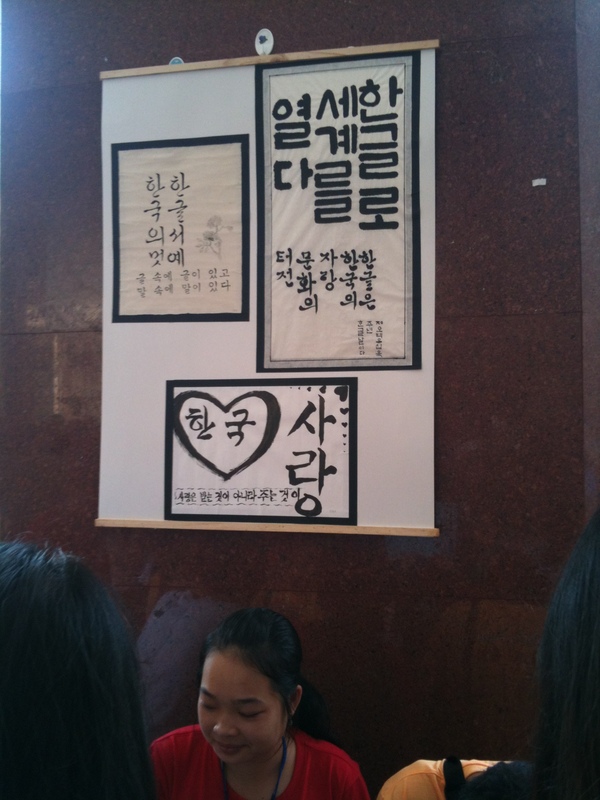 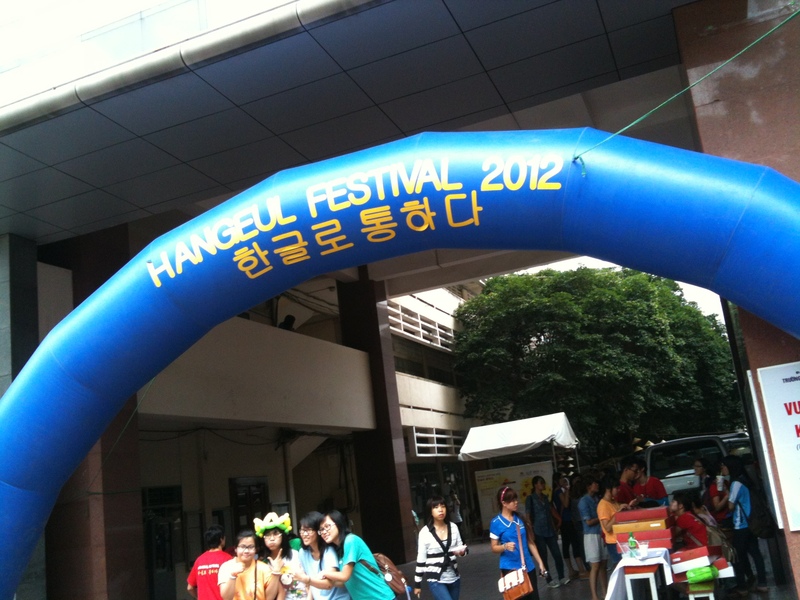 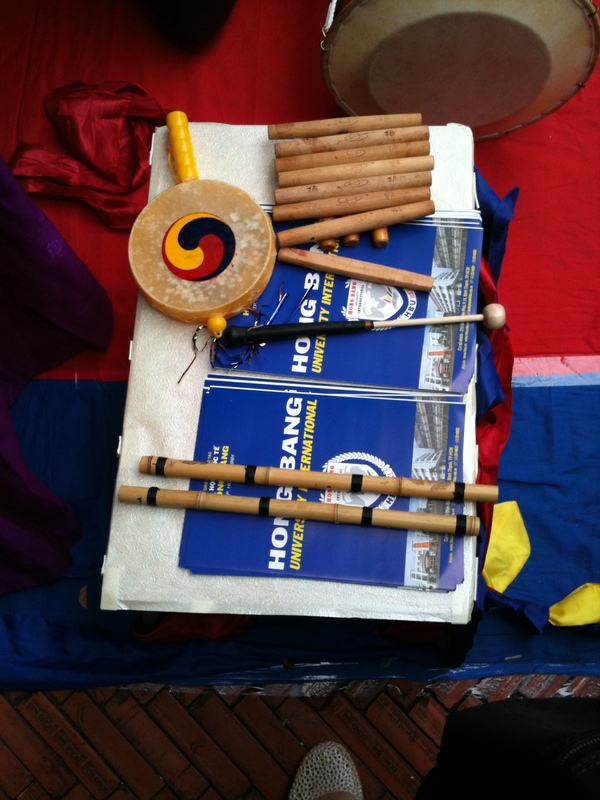 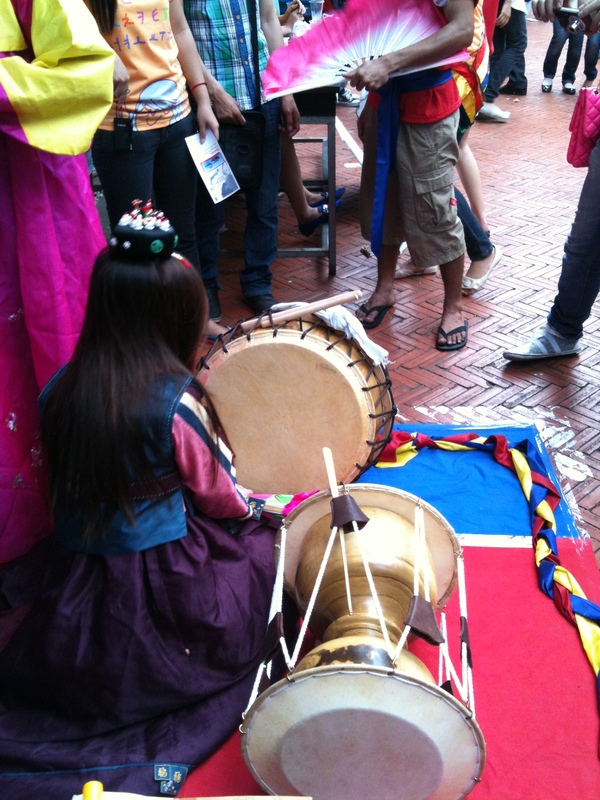 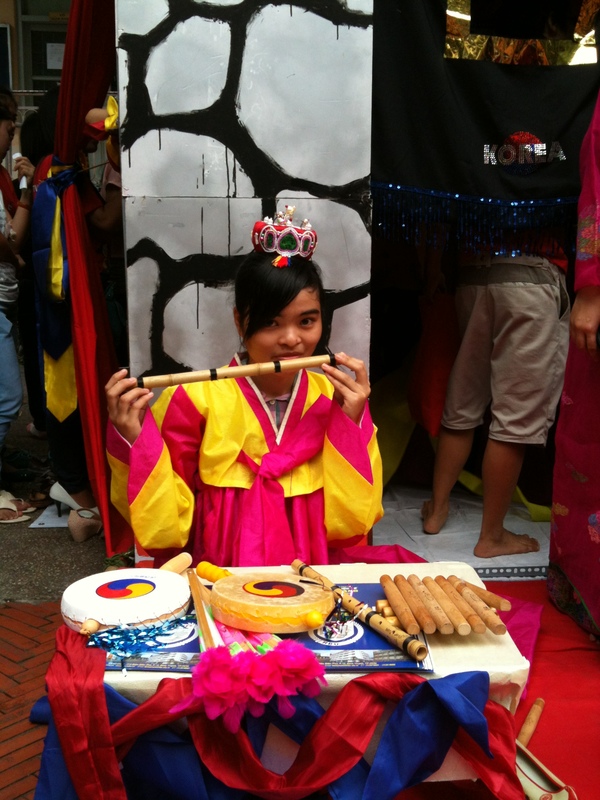 Hangul festival was organized in my University . 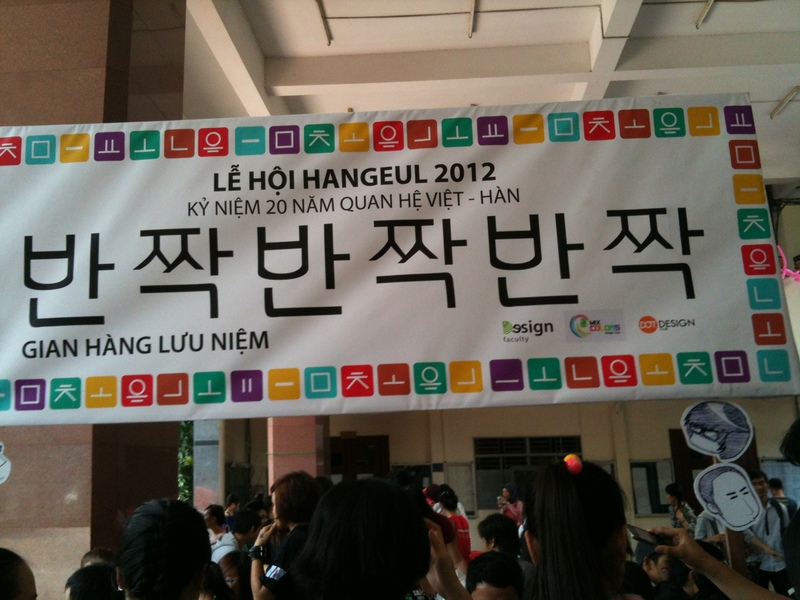 There were a lot of universities and language centers joining this event. 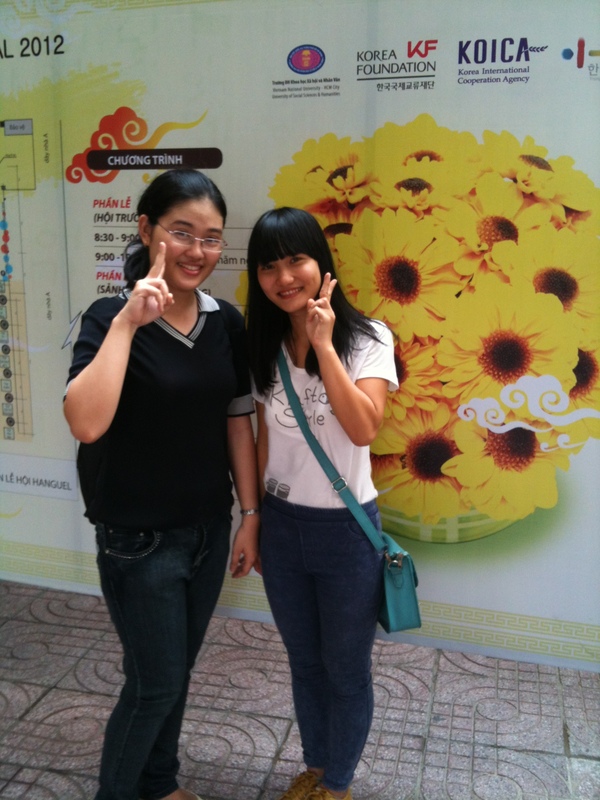 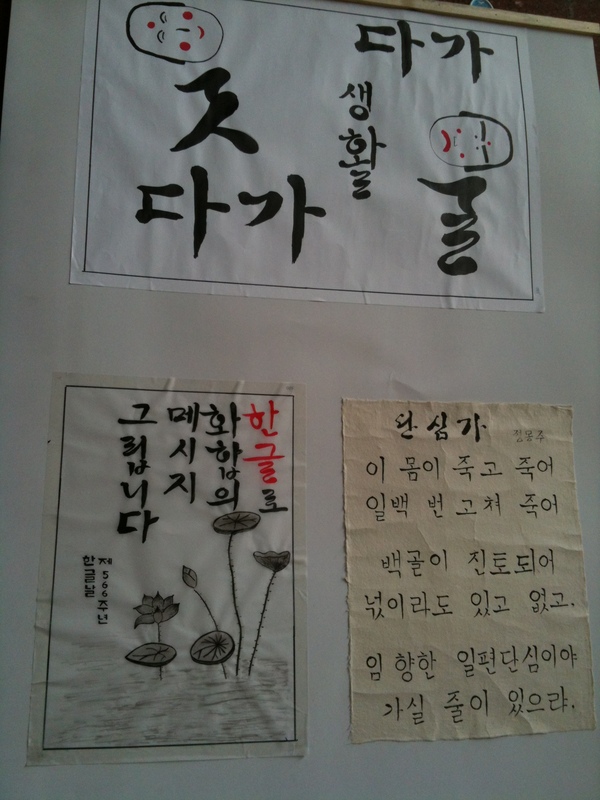 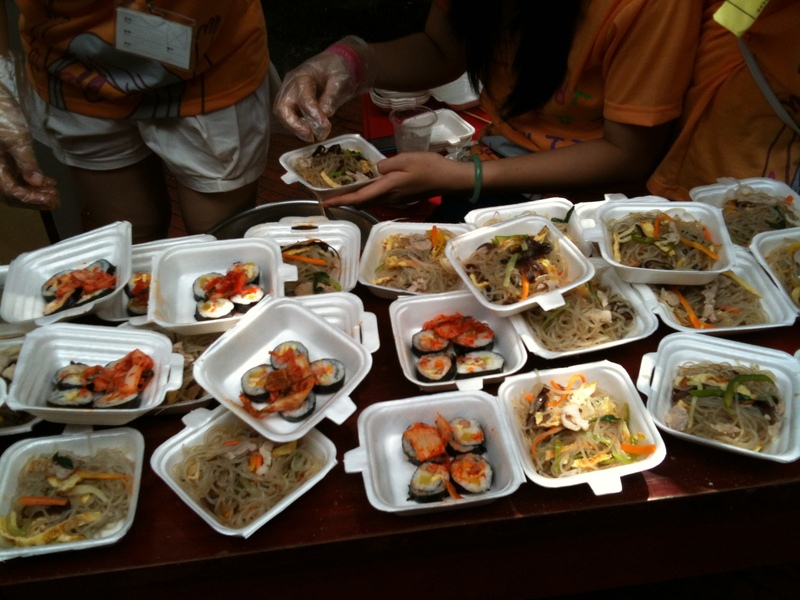 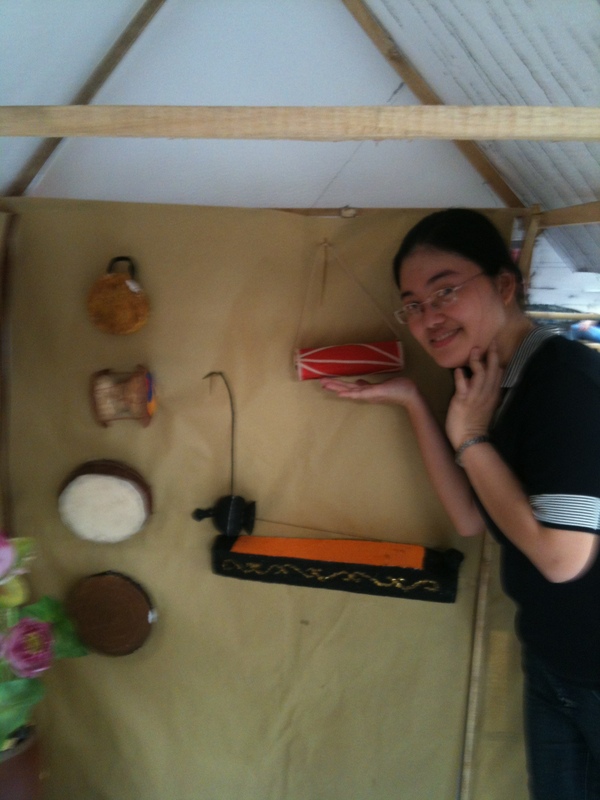 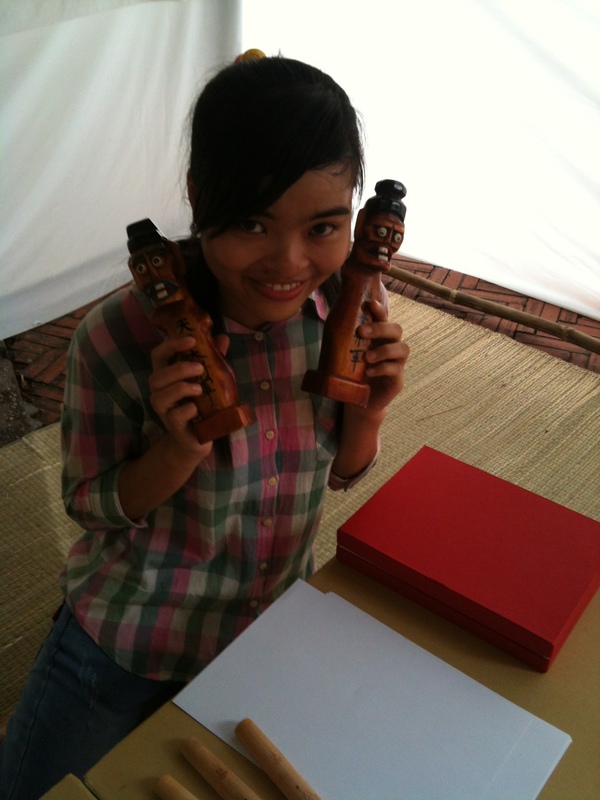 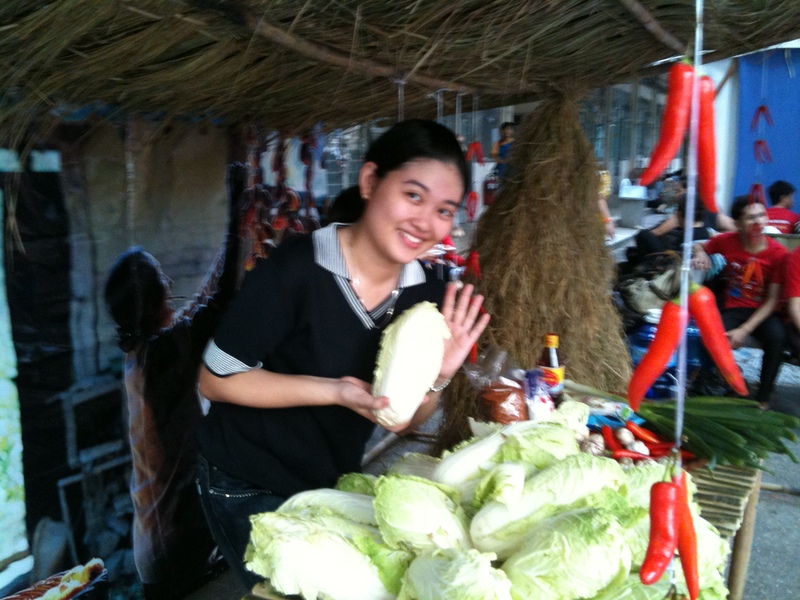 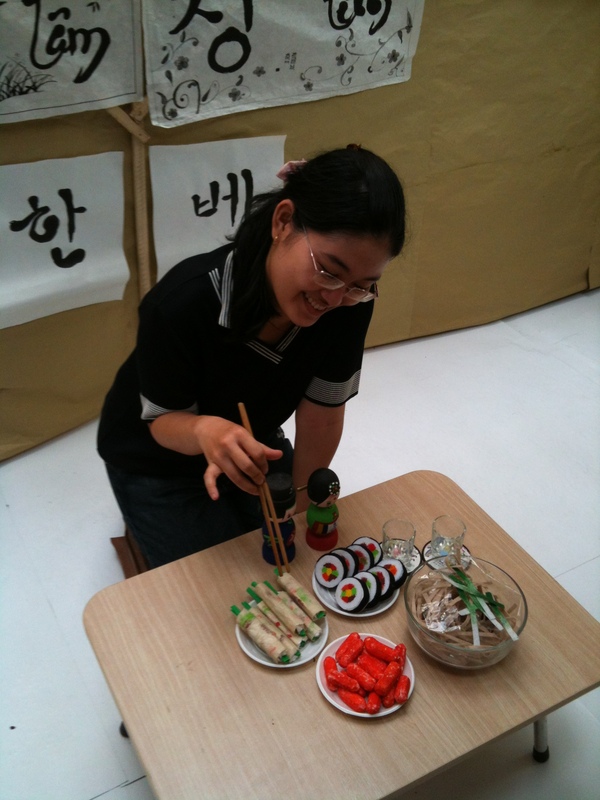 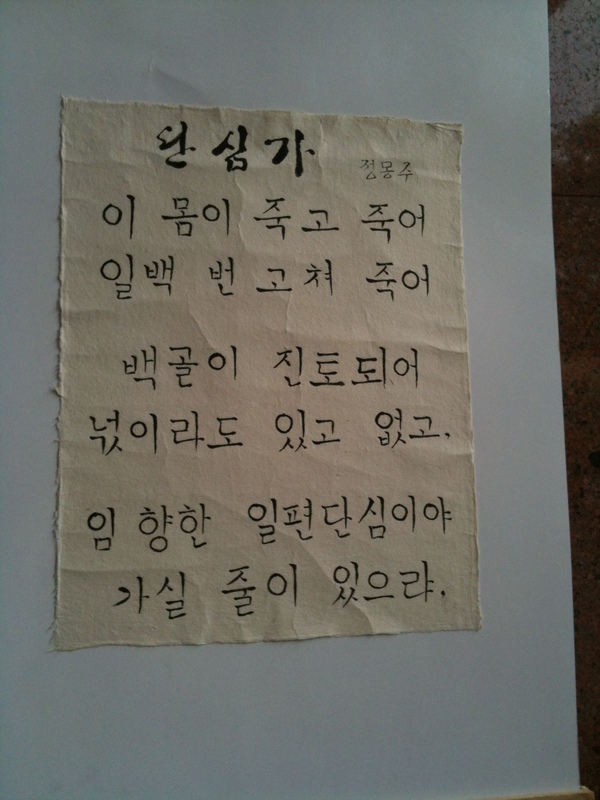 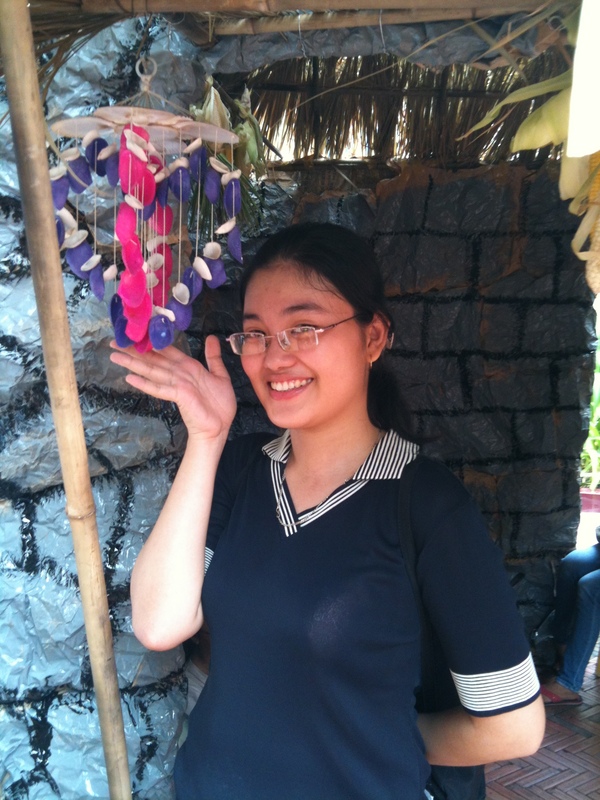 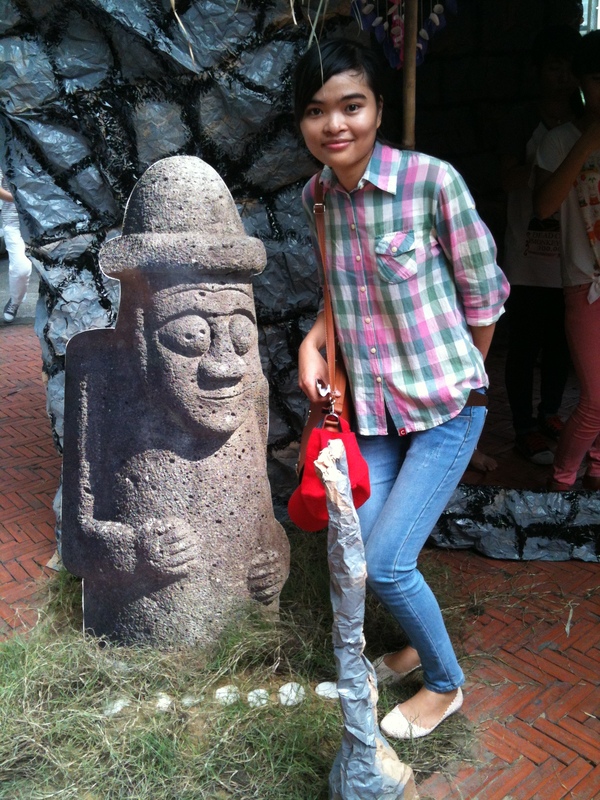 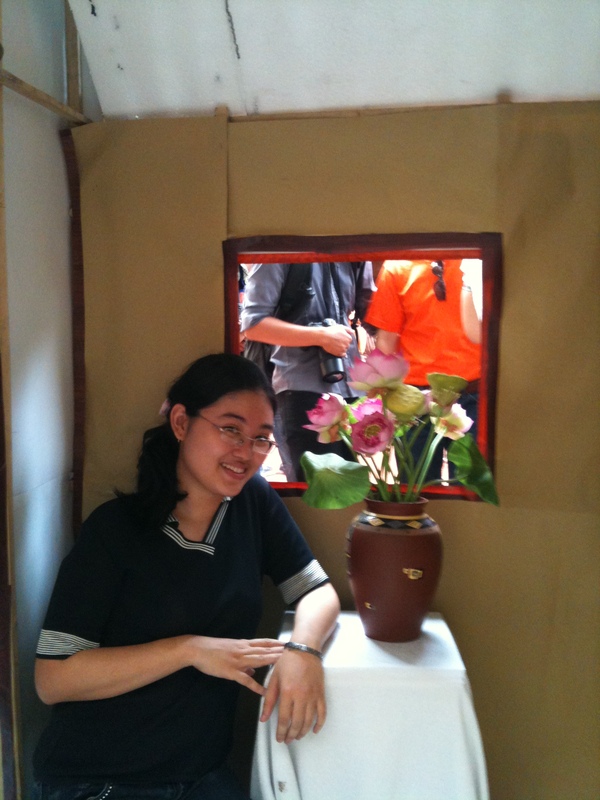 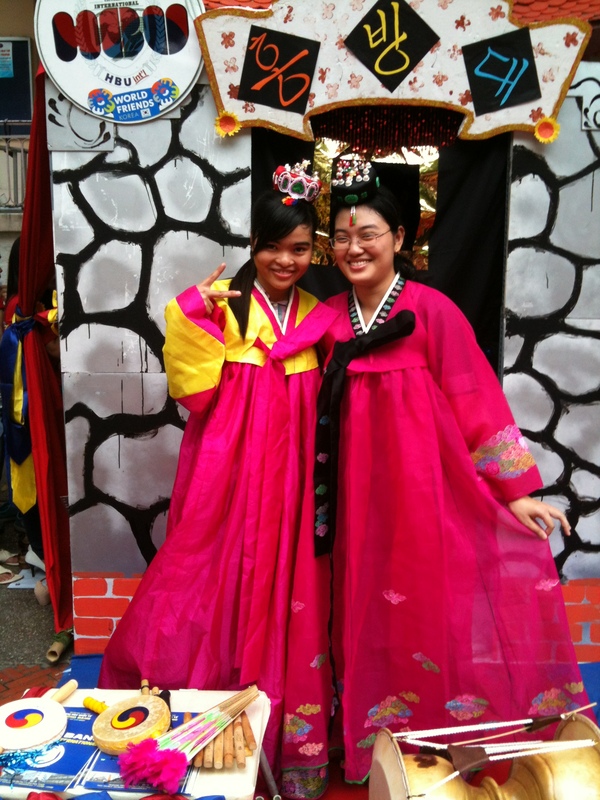 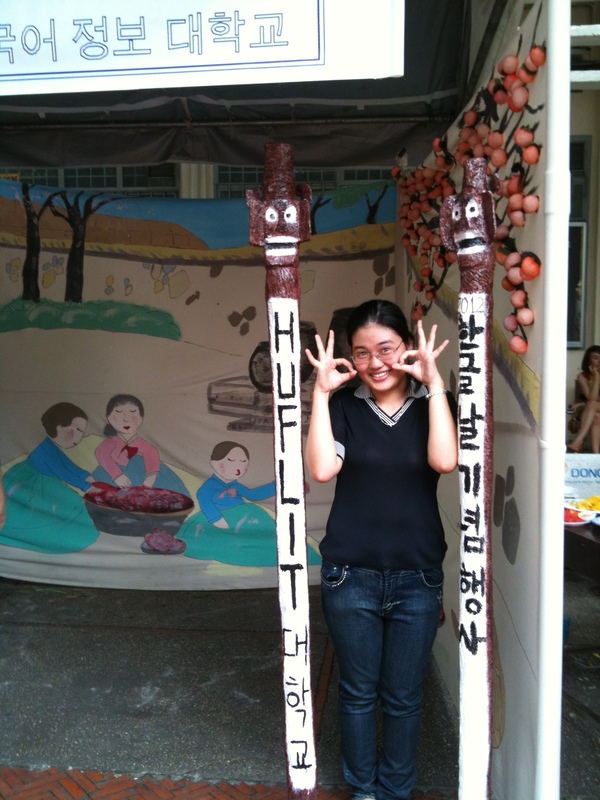 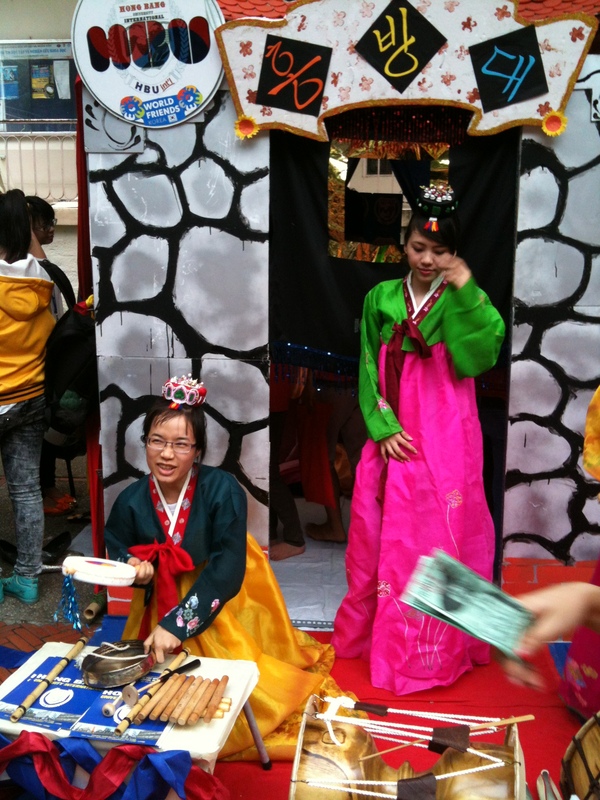 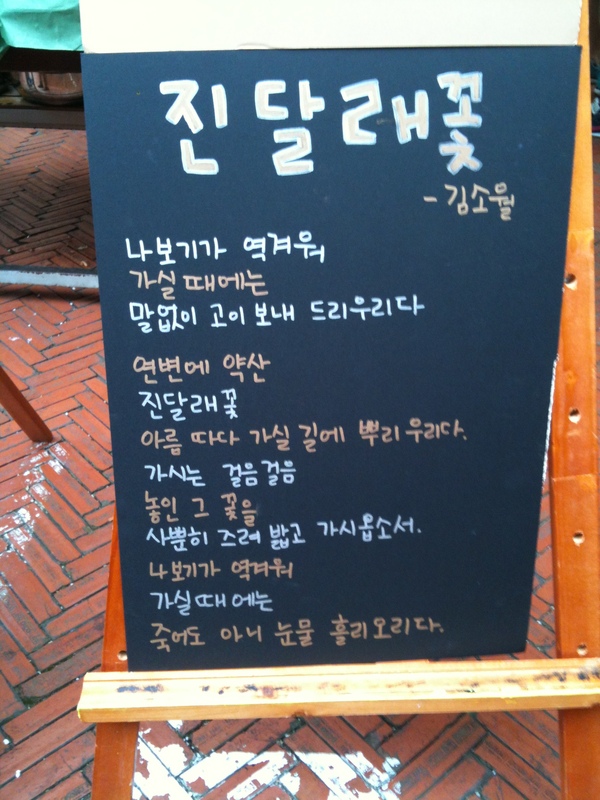 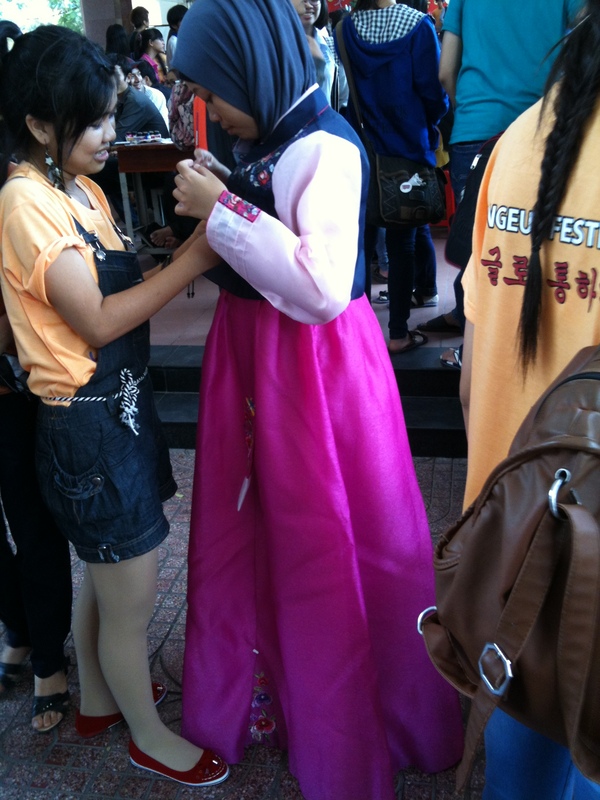 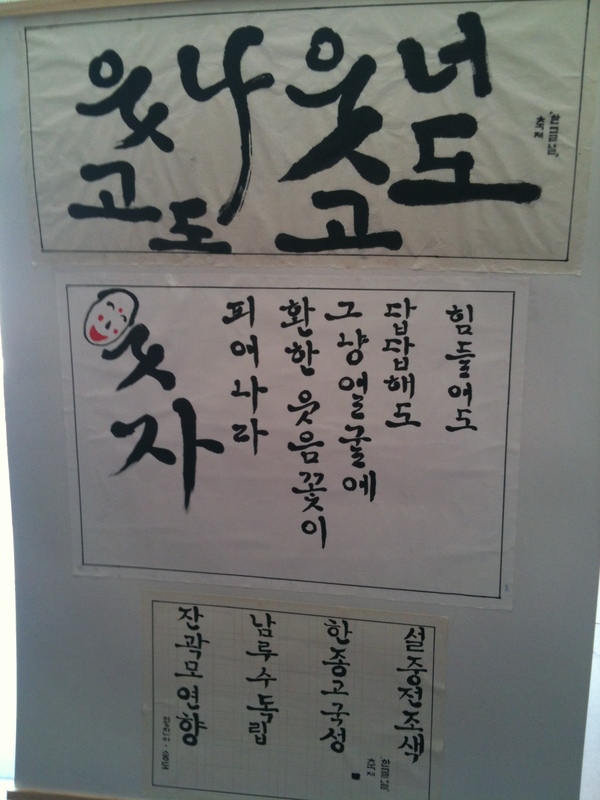 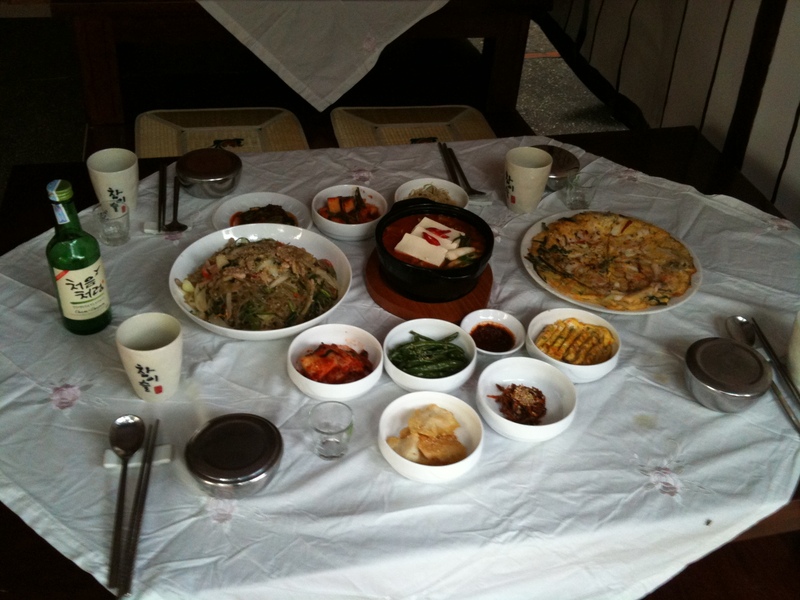 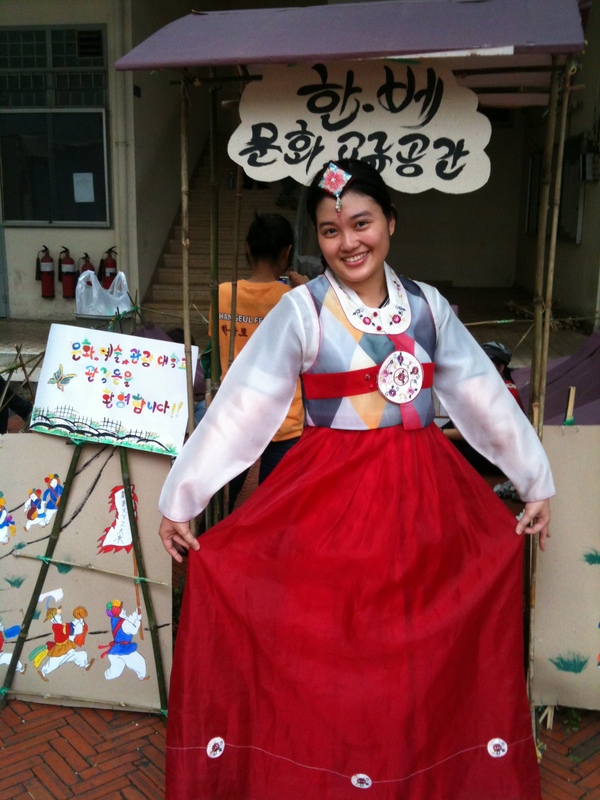 ^^ In this Hangul festival, I went with my cousin. 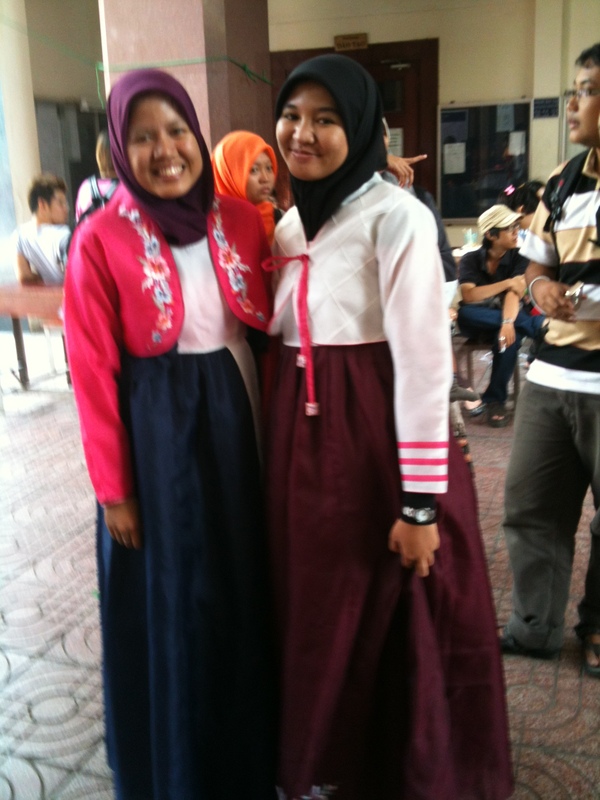 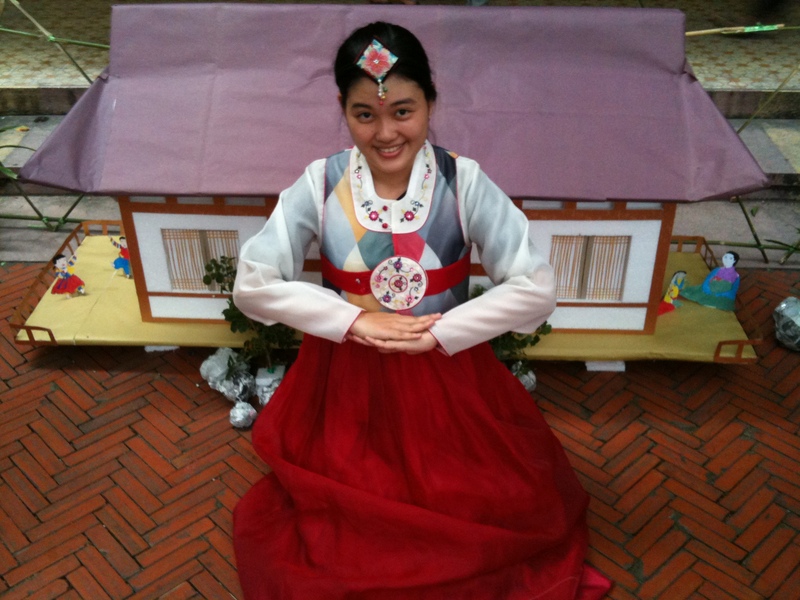 We wore Hanbok and took a lot of pictures. 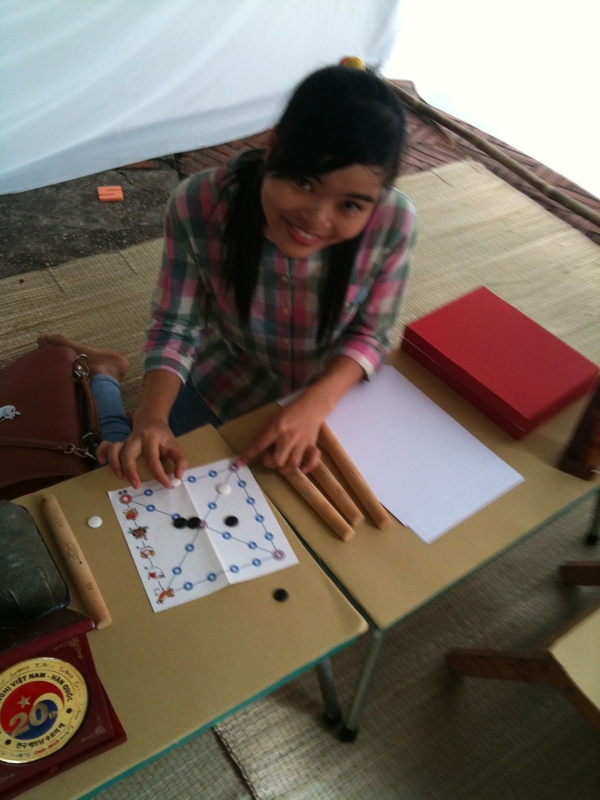 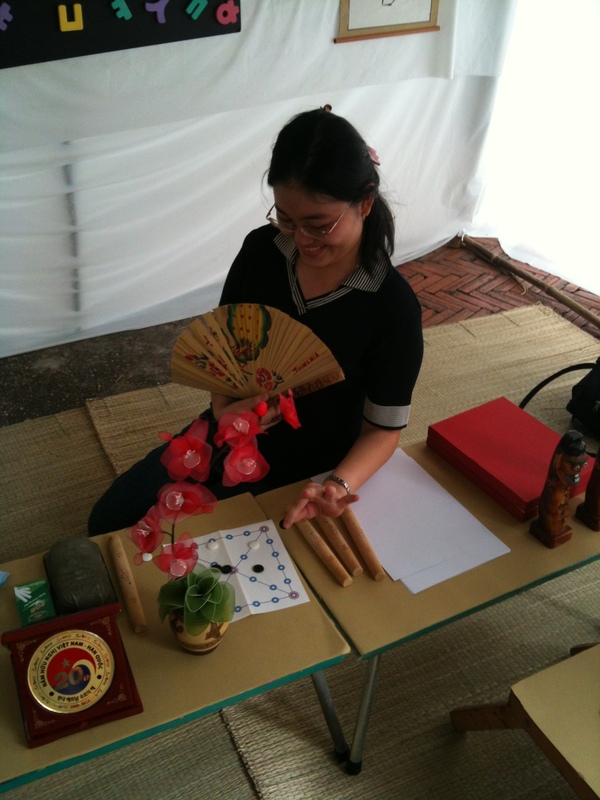 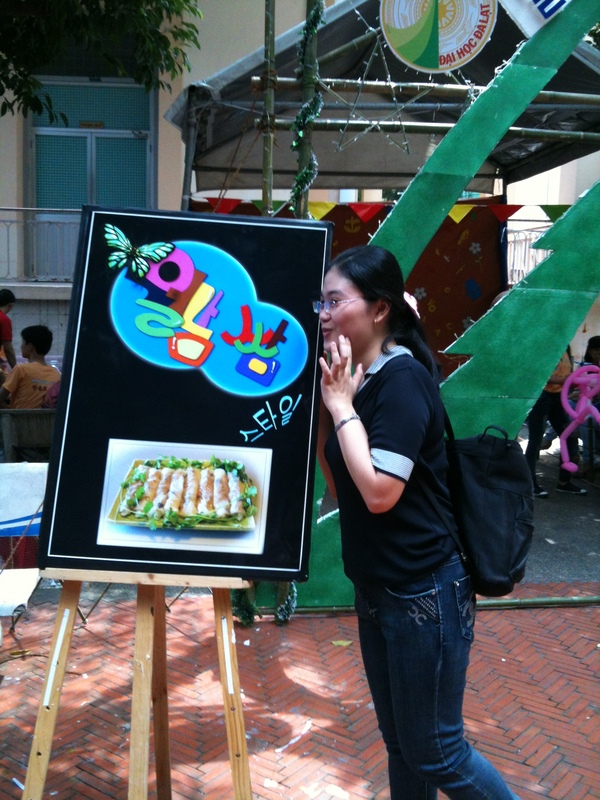 In the afternoon, there was a game show and music concert. 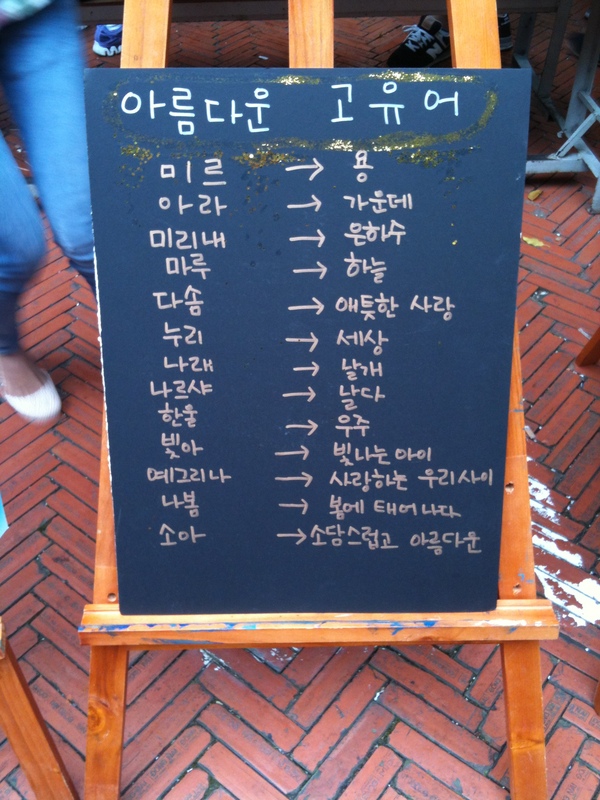 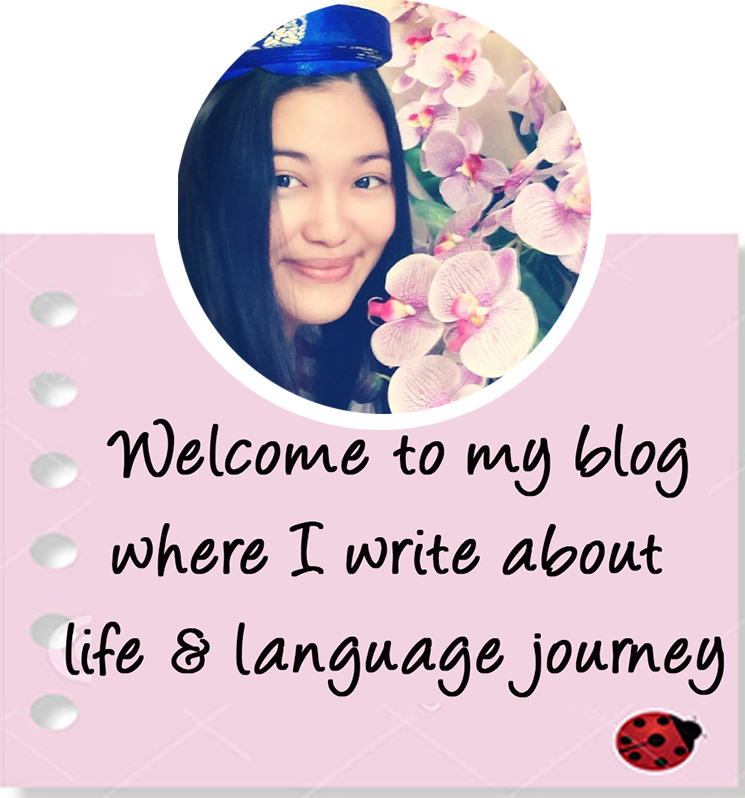 Some interesting things I have learned from this event. 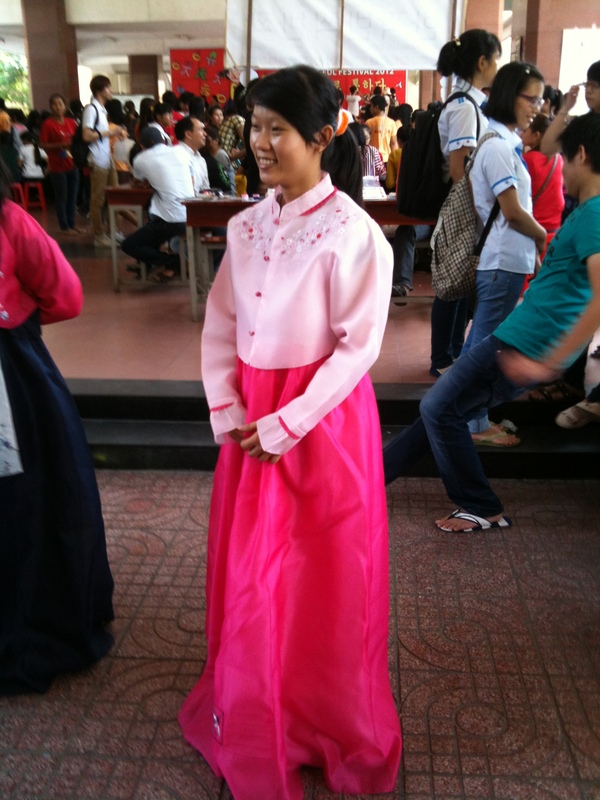 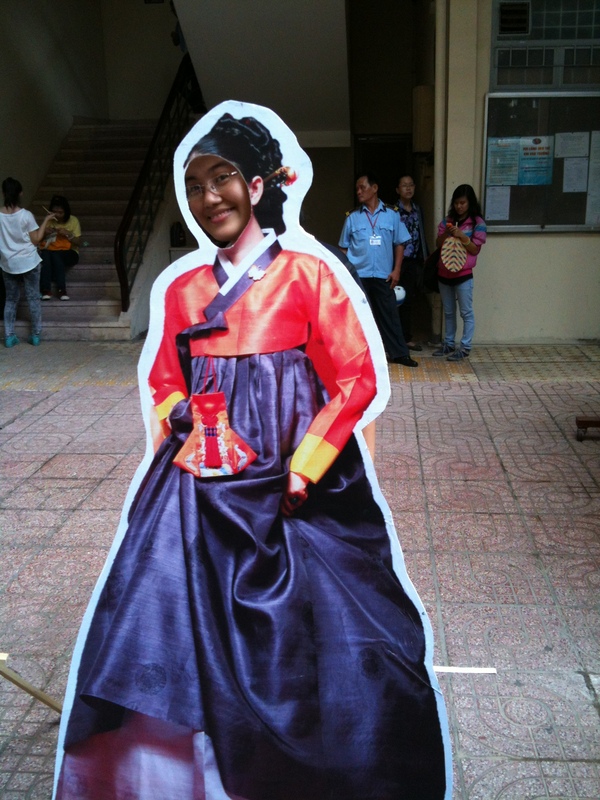 You look so pretty in the Hanbok!